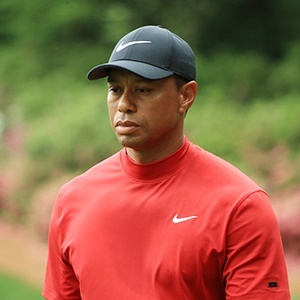 Augusta - Tiger Woods completed an epic "full circle" comeback from career-threatening injury and scandal by winning the 83rd Masters on Sunday, capturing his 15th major title with an unprecedented back-nine rally. Ending an 11-year major drought, the 43-year-old American superstar - who underwent spinal fusion surgery in 2017 due to chronic back pain - seized his first major title since the 2008 US Open. "It has come full circle," Woods said. "This tournament has meant so much to me and to have everyone here means so much to me and my family. "Now to be the champion - 22 years between wins is a long time - it's unreal for me to experience this. I just couldn't be more happy, more excited. I'm just kind of at a loss for words." "We couldn't be happier," Augusta National chairperson Fred Ridley told Woods. "You've made history once again at Augusta National." "The energy out there was brilliant," Molinari said. "With Tiger being there, people were loving it. I gave it my best. I'm proud of that."